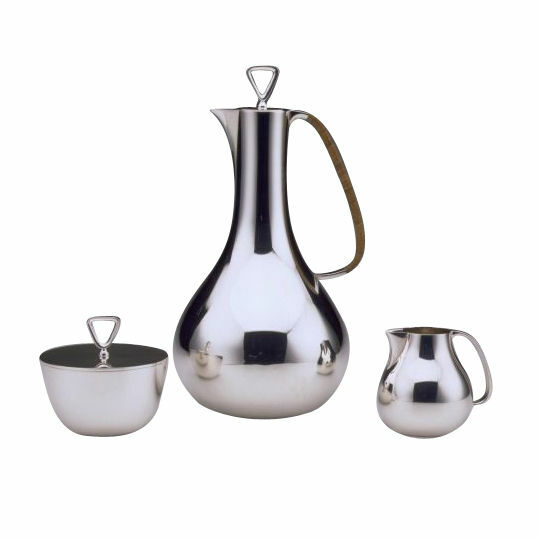 Very stylish Georg Jensen three-piece coffee set designed by Sigvard Bernadotte in 1952. This set is from the original production in 1952. 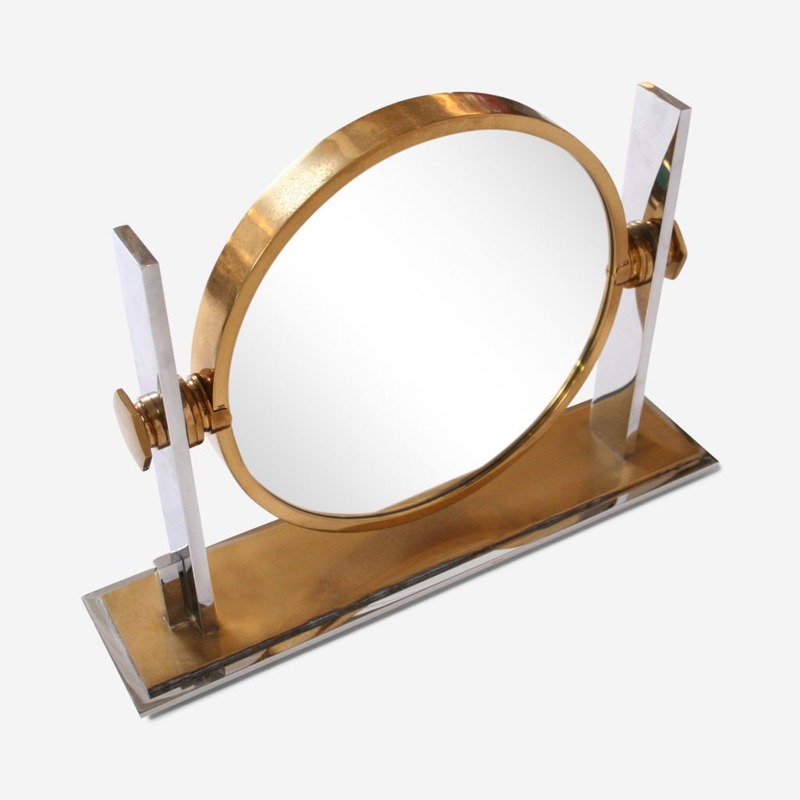 Sterling silver, rattan. Coffee pot height 9 inches (22.9cm). Sugar bowl with cover height 3 inches (7.6cm). 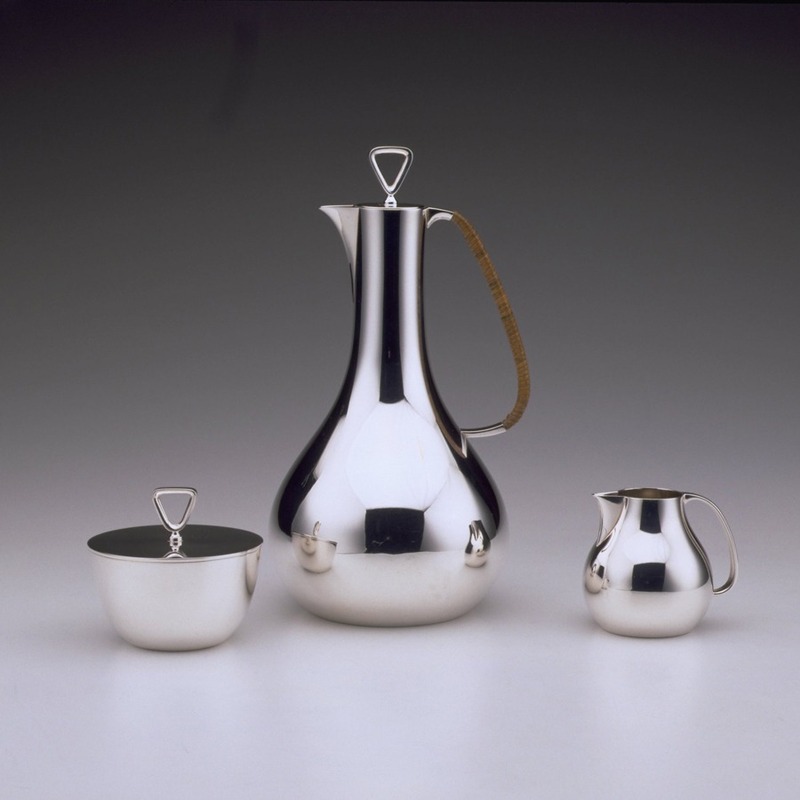 Creamer height 2-5/8 (6.7cm).